also came under attack. Eventually, his platoon managed to push back the attackers and secure a bypass route around Manatuto for the Fretilin convoy, which safely circumnavigated the town without loss of life or serious injury. Soon after ISF reinforcements arrived on the scene to assist in restoring law and order to the town. Without the decisive intervention of his platoon, it is likely that the situation could have deteriorated resulting in a number of fatalities between the rival political supporters. 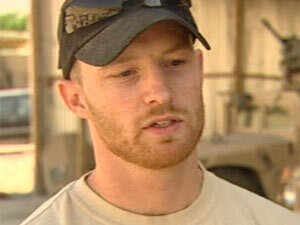 The Defence Force has named the New Zealand soldier killed in an attack in Afghanistan overnight. He was Lieutenant Timothy O'Donnell from the Royal New Zealand Infantry Regiment. The 28-year-old soldier from Feilding died when his patrol in the north-east of the Bamiyan province came under a "complex" attack along a notorious stretch of road that borders the neighbouring and more violent province of Baglan.